So I recently added the HP Chromebook to my cohort of tech gadgets, and naturally wanted to put the device into developer mode. 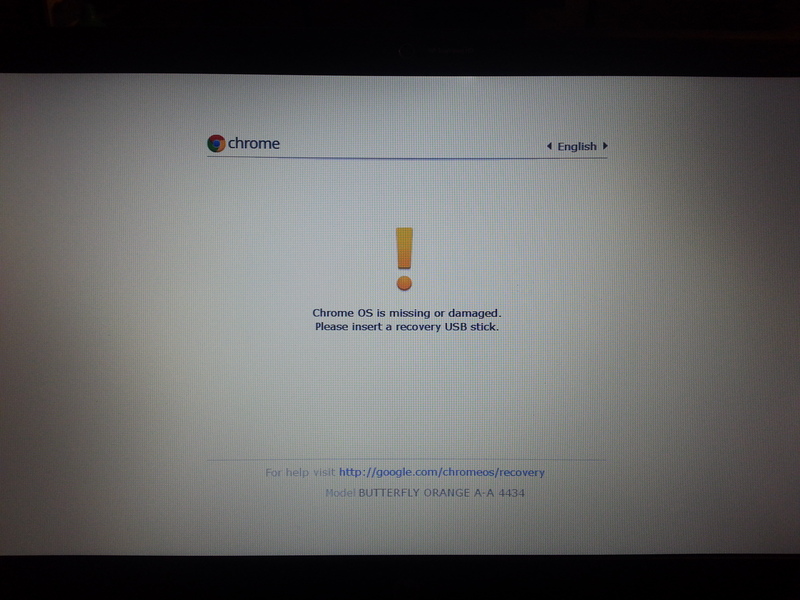 While the information posted on the Chromium Wiki about the HP Chromebook was helpful, it turns out that it is incomplete. So below are my abbreviated instructions for getting it into developer mode from start to finish. Another great resource is the HP repair manual, available here. Also, this process will completely wipe out any locally stored data, so move anything you want to keep to Google Drive or somewhere else before proceeding. Be sure to keep an eye out for screws not mentioned or shown in the diagrams. If you try to remove any part and it isn’t coming off, chances are you may have missed a screw. Keep the screws from the bottom of the Chromebook and the ones from underneath the keyboard separate. Since all of the screws have flat heads, try standing them on their heads to keep them from rolling around and potentially getting lost. 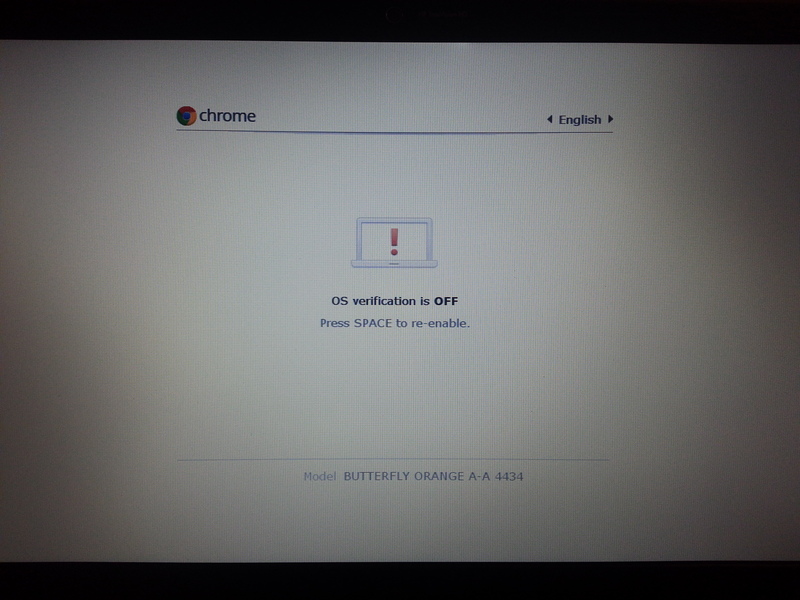 Once you’ve flipped the switch, put the Chromebook back together following the instructions in the reverse order. Then you’ll be ready for Step 2. 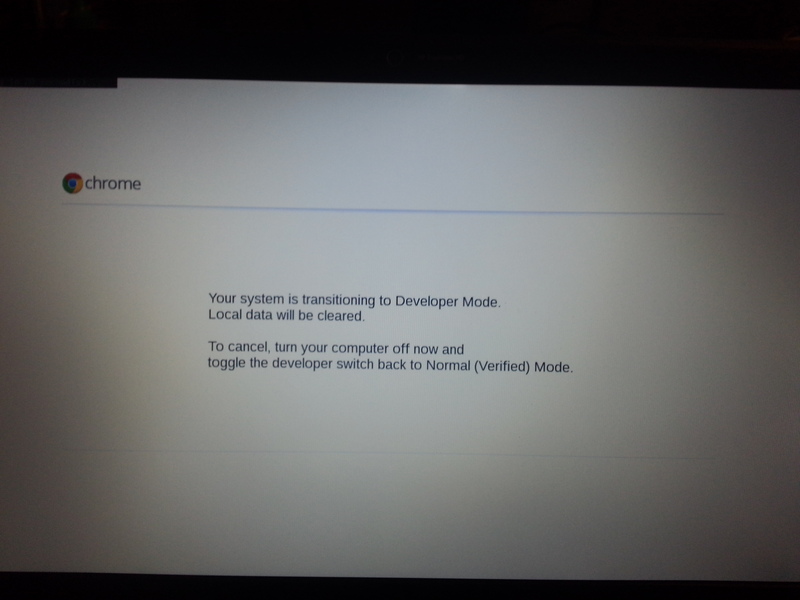 The steps for booting into developer mode are actually still on the Chromium Wiki, but under the page for the Samsung ARM Chromebook. Essentially these steps are as follows. First, this is your last chance to back up any data stored internally. After the next couple of sub-steps, everything on the internal storage will be deleted. At the above screen, press Ctrl-D, which will bring you to the confirmation page warning you that proceeding will erase all local data. Press Enter to continue. press Ctrl-D to force it to boot. Once this is done, it will reboot with a completely cleaned version of the OS. You’ll have to log in again and re-download any files you want stored locally, but that’s it, your HP Chromebook is now in developer mode! 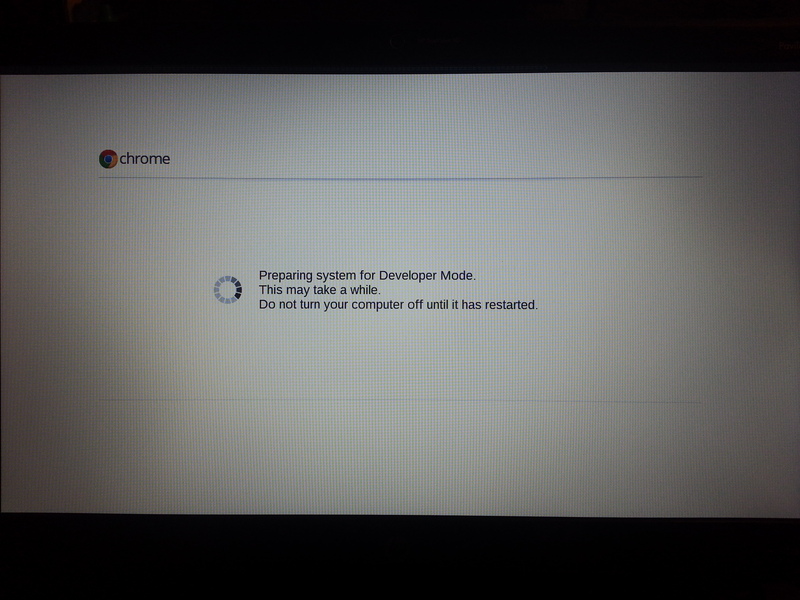 For more information about what developer mode offers, check out the Chromium Wiki. Or to install Ubuntu using the same kernel as Chrome OS, check out the Crouton project at GitHub.